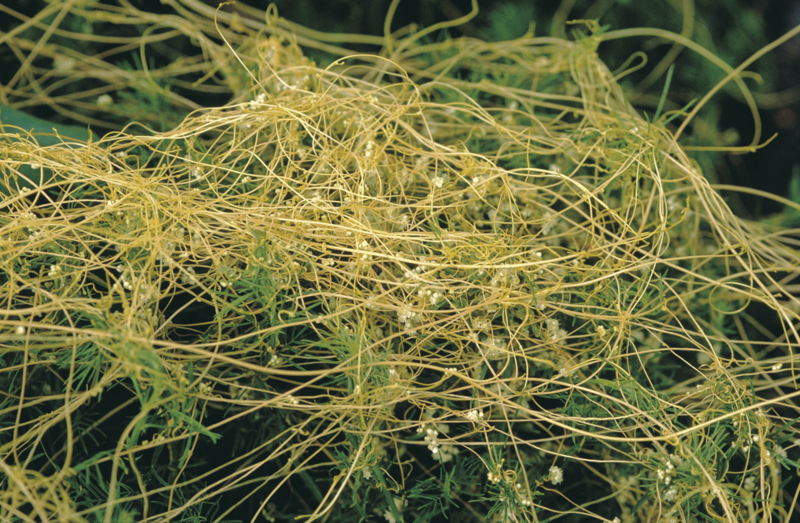 Control methods for golden dodder (Cuscuta campestris) a declared pest in Western Australia. 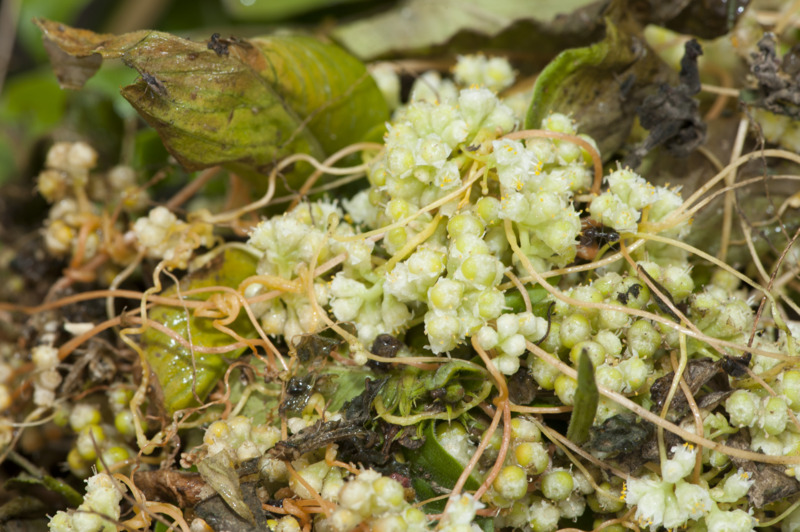 Information about this pest can be found on the golden dodder: declared pest page. Slashing or manual removal is not successful as it spreads the golden dodder. Remove the host plants and then have a program for at least four to five years to control growth of the host plants or any susceptible broadleaved plants. This is a non selective treatment as all vegetation will be controlled. Paraquat + diquat @ 100mL/10L water can be used in place of glyphosate but this can only be applied by licensed spray contractors. Treat an area of 5m beyond the weed patch, and repeat annually or when broadleaved plants appear. This will give a grass dominant site. If a woodland site, replant to native species. If area is arable, crop to cereals as these are not attacked by the golden dodder. The crops may have to be treated with in-crop herbicides to control broadleaved weeds.